Steve Lukinuk & Family were awarded the 2015 Developer of the Year Award by the Northwestern Ontario Prospectors Association (NWOPA). The Developer of the Year award is an annual award meant to acknowledge an outstanding mineral development. NWOPA recognizes the success of Amethyst Mine Panorama and Mr. Lukinuk’s efforts over 35 years to promote and develop the amethyst industry in Northwestern Ontario. The Lukinuk family own and operate Amethyst Mine as a tourist attraction that educates and informs many visitors each year as well as providing outstanding dig-your-own opportunity. They also have developed a year-round lapidary workshop, in the City of Thunder Bay which produces an array of quality Amethyst products. Lukinuk says, “I try to come up with one new product every year. We have developed carvings, faceted amethyst, polished clocks and jewellery – all mined by our family and all exclusively sold at Amethyst Gift Centre and at the mine. Amethyst Mine Panorama opens for 2016 on May 15th. Steve Lukinuk looks forward to interacting with mine visitors each day and anticipates another busy and successful year. Opening day for Amethyst Mine Panorama is just around the corner as well, May 15th! - an excellent outdoor Thunder Bay activity. Largest Amethyst mine in North America, Amethyst Mine Panorama is just outside Thunder Bay and we took a drive to dig for our own amethyst. Amethyst Mine Panorama is open 10 until 6 during July and August. We are located 1 hour east of Thunder Bay along the beautiful Lake Superior Route. 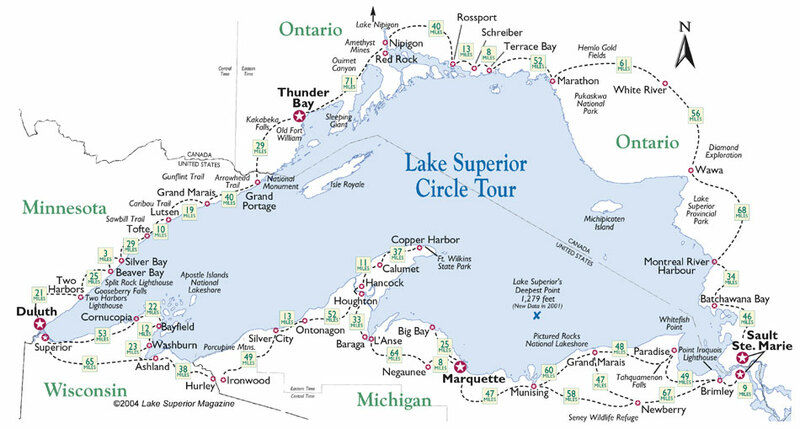 Lake Superior Magazine Best of the Lake each of the 110 winners in our 13 categories certainly can boast of earning their 2014 Best of the Lake ranking. More than 1,200 voters from around the region and across the United States and Canada cast their choices for spectacular views, friendly service, family attractions, shopping, boating, toe-dipping beaches, fish dishes and other favorites. Amethyst Mine Panorama is located approximately 45 minutes or 60 km / 45 km east of the Terry Fox Visitor Centre in the city of Thunder Bay. Follow Highway 11-17 and turn North onto East Loon Road. Then follow the signs to fun. Keep up to date on what is happening at the mine Tweets about "#tbayamethyst"